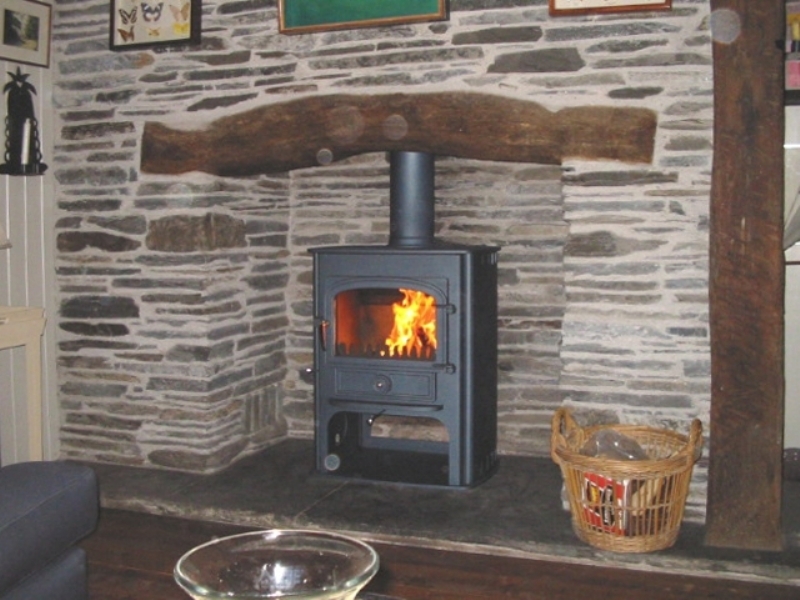 Clearview Solution installation wood burning stove installation from Kernow Fires. 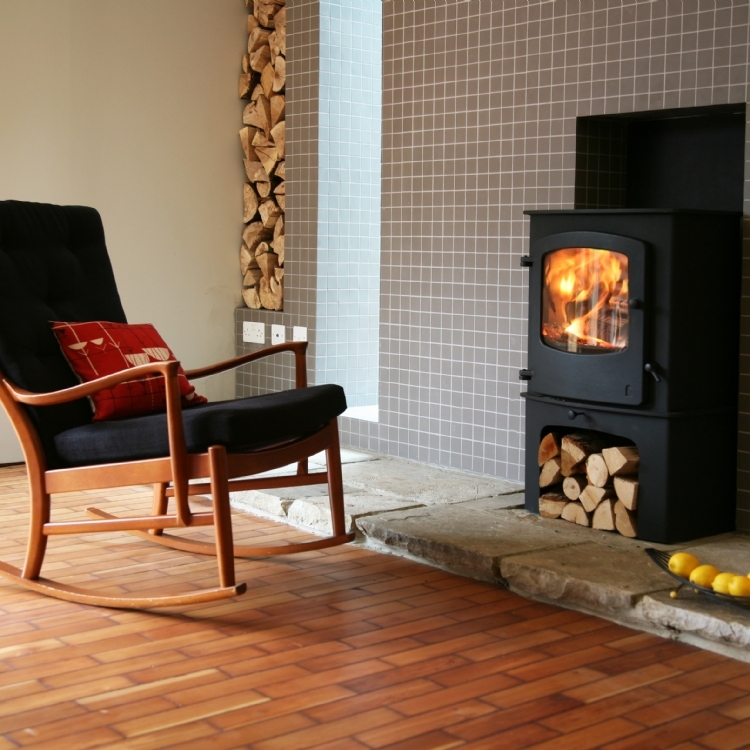 Customer Aspiration: A large freestanding stove with the correct proportions to fit the traditional Cornish fireplace. 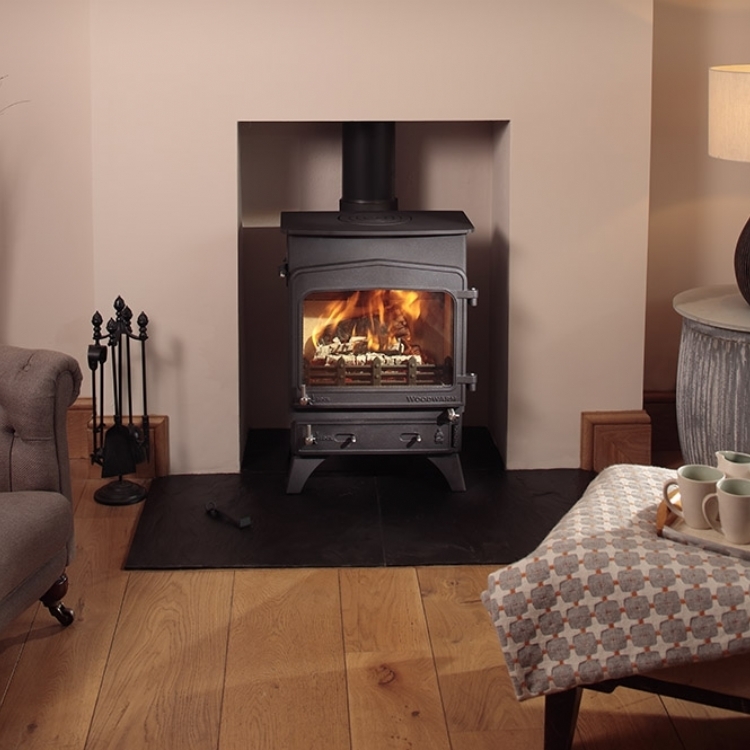 The Clearview Solution multifuel stove fits perfectly into the opening, leaving enough clearance between the top of the stove and the old wooden beam. The original chimney has been relined to ensure the efficiency of the stove and the 8kw produced is perfect for warming the large room.